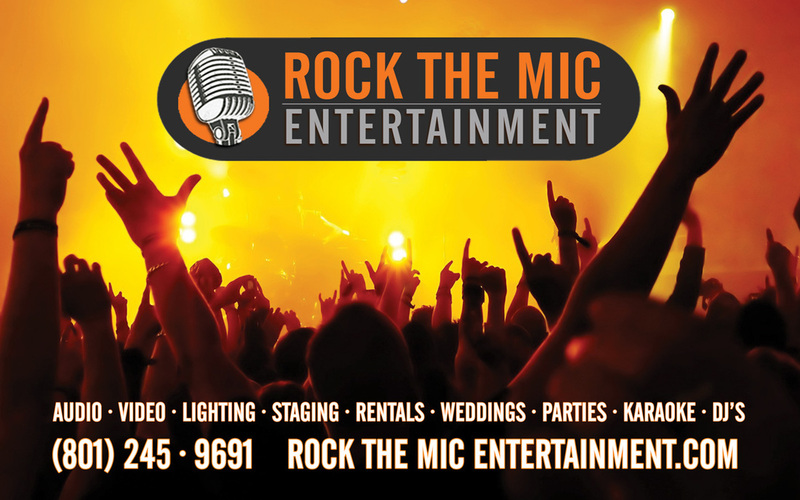 ROCK THE MIC - Utah's Premier Entertainment Provider! That means we have everything you will need to make your next big event absolutely incredible. 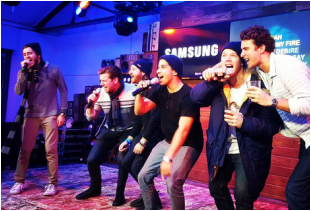 From Clubs to Basements, Private Events to Public Festivals, Our DJ's Have Done and Seen It All. We Have The Best Rentals You Can Even Find. We Have The BEST Karaoke Rental In The Business. Why Are We The Best? "Rock The Mic was so awesome at our wedding! They made our special day something we will never forget. We Just Purchased A New Trailer Stage, and We Are Excited To Show It Off! Perfect For Outdoor Events, Festivals, Live Performances, Bands, or Whatever Else You Can Think To Do! We have one amazing show that we do consistently every week in Orem. Tons of people come out to enjoy a drink, some wings, and sing their hearts out! We always love new singers, so drop in! Averaging At Least 3 Events A Week For A Decade, Experience Becomes A Commodity. We Have Been Voted #1 Locally Many, Many Times For A Reason. When Nationally Touring Companies and Larger Clients Come Into Town, We Are The First Ones Called For Live Entertainment. Many Companies Around Are Not Insured, And We Feel That Is Wrong. If You're Comparing Providers, Definitely Ask About Their Liability Insurance. Doing A Lot of Community Events, We Know The Expectation For Music and Content, and How To Present Ourselves. We Offer A Variety of Music Options, Both Unedited Tracks for Adult Events, and Clean Music for Community and Public Events. If You Have A Preference, Just Let Us Know! There Is A Lot Riding On The Proper Execution of An Event, And We Pride Ourselves In Being Prompt, Professional & Prepared. Having Multiple DJ's, and Oftentimes Have Backup Equipment With Us, Allows Us To Remedy Issues That Arise While Doing Mobile Events. Providing Our Clients A Visual and Audible Experience Unlike Anyone Else Is What We Strive For. We Are Interactive, Creative & Dedicated To The Party. It Seems Like Everyone Is Claiming To Be A DJ These Days. Having Someone Say They're A DJ & Actually BEING A DJ Are Two Entirely Different Things. We Can Rock Everything From Vinyl to Controller, and We Aren't Some Pasty Lizard, Slithering Out of The Dive Bar To Your Event. When You Hire The Best, You Get The Best. We do karaoke, complete mobile DJ services, karaoke rentals, weddings, parties, corporate events, church functions, and any other gig you may have. We're professionals at planning events, and will make sure that you and your guests having a great time all night long! Questions? Comments? Requests? Get in touch with us here!